LATEST educational news reaching us today, is that the University of Lagos (Unilag) management has officially released the much awaited Unilag POST UTME result for all candidates who participated in the school aptitude screening exercise. Using this medium, the Dailyschoolnews Nigeria team wishes to inform all candidates who sat for the screening exercise of the University of Lagos that the school management has open the portal for result checking of all participants. 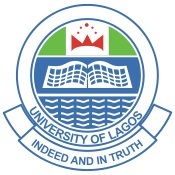 1; For you to check your scores, you must visit the unilag result checking website here http://admissions.unilag.edu.ng/, but since the results of candidates were not updated via the school portal, I have decided to upload the results Here on Dailyschoolnews.com.ng, where you’ll be able to access your result online. 2; Please take not that there is absolutely no need to login to the school portal, either with your JAMB Registration Number or Surname, because the result was uploaded in a PDF format. We’re wishing all candidates the very best and don’t forget to share this information with your friends on facebook, twitter and google+, using the share buttons below. When Will JAMB 2019 Result Be Released?